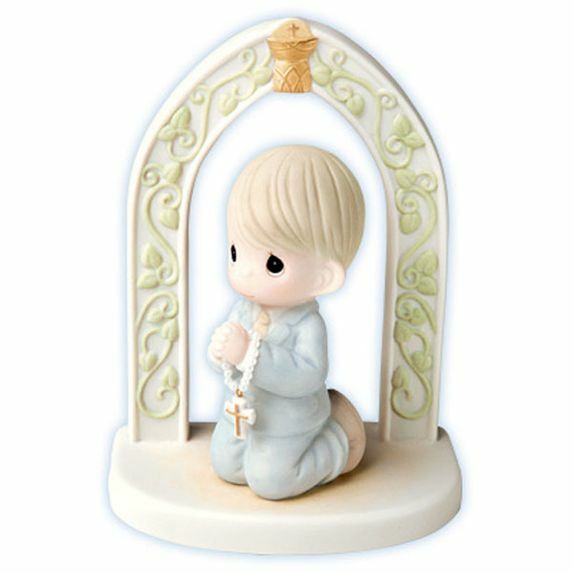 Communion and confirmation are celebrated with this uplifting figurine with golden accents and dangling bead rosary. A gift they will treasure forever. Item# 640023 - Height 6 3/8"